Somehow, in the midst of bleak Chicago winter, a spirit of rebellion has startled the Chicago theater community from its near-hibernation complacency. Yet, I shouldn’t say “somehow.” The Goodman Theatre, Chicago Shakespeare Theatre, the League of Chicago Theatres and Northwestern University have joined forces to shepherd that spirit of rebellion here from New York City’s Under the Radar Festival. 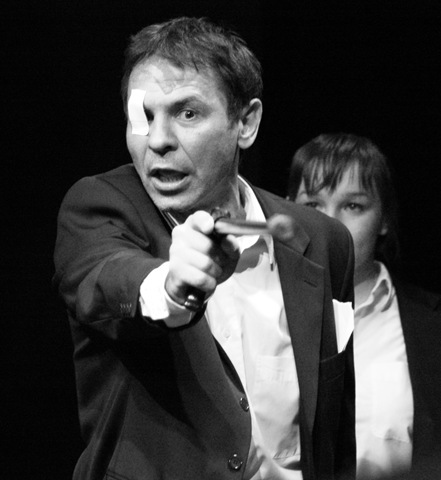 But the originators, the guardians of that spirit, the theater company for whom political drama is very definitely NOT an intellectual exercise, the Belarus Free Theatre, has arrived and they have spiked a reawakening to the impact of art speaking truth to power. Since BFT has only just eluded the iron grasp of the Belarusian government to come to these shores and, since its founding in 2005, nearly every one of the company has been subjected to imprisonment and/or police harassment due to their “peaceful political and theatrical activities,” they are sure to be the darlings for many Americans in a self-congratulatory mood about the blessings of our democracy and its First Amendment protections compared to Belarus under Alexander Lukashenko. To be sure, for the moment, the US is not quite in dire straits equal to the citizens of Belarus–but two years into Obama’s administration neither do we stand on the moral high ground we once occupied. Bradley Manning endures solitary confinement without trial or sentence; within Chicago and Minneapolis the FBI invaded the homes of anti-war activists. Thus, what a thoughtful and delicate balancing act the Belarus Free Theatre performs for our delectation. It’s not enough to acknowledge how skillfully they interweave notable sections of Pinter’s plays with the direct, eyewitness accounts of the torture and political persecution of Belarus’ citizens. Rather, Being Harold Pinter sits first and foremost upon the foundation of Harold Pinter’s 2005 Nobel Prize acceptance speech—a speech that excoriates the United States for its illegal invasion of Iraq, its maintenance of Gitmo and its Cold War manipulations in Central and South America. But most of that is left out of director Vladimir Scherban’s adaptation. Perhaps it is because they are our guests but, more likely, Being Harold Pinter is neither crude agitprop nor is it a collage of Pinter’s words and selected scenes. Scherban takes very seriously Pinter’s view on the role of the artist and the role of the citizen, a discourse that frames every scene yet shift-shapes with each dramatic moment. Perhaps more powerfully than anything else, through Pinter’s own inquiries into the nature of truth, coupled with scenes of interrogation pulled from his plays Ashes to Ashes, Old Times, The Homecoming, One for the Road, The New World Order and Mountain Language, Sherban and his seeringly consummate cast unveil Pinter himself as a Grand Inquisitor in his own way. As for execution, they are fiercely good. Using minimal props loaded with significance, the cast tosses off Pinter’s dialogue and glides through scenes I’ve witnessed actors in this town clod-hop their way through. 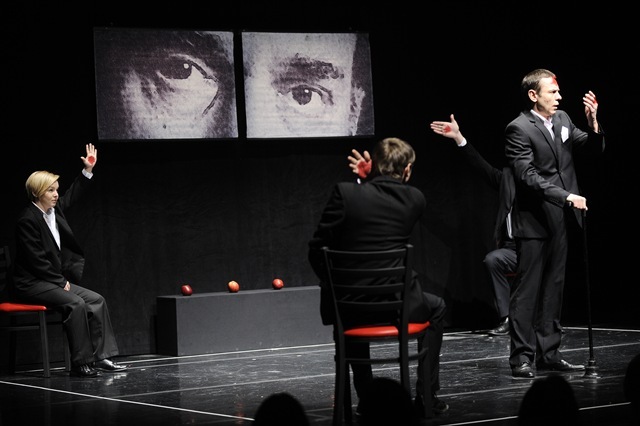 That the Belarus Free Theatre would engage Pinter’s sadomasochistic power plays as a reflection on what they endure from their own prevailing KGB seems like a no-brainer. But what they also reveal is Pinter’s mind going through its own non-stop interrogation. That is the diamond to be found in the middle of all the suffering, degradation and carnage. What they depict of Pinter is a soul in unrelenting pursuit of what is true and the dangerous struggle to present that truth and render it in a way from which audiences cannot escape. Finally, they ground Pinter’s drama with real life accounts from the tortured of their country. The BFT plays for keeps and they should not be missed. As for their future, the Belarus Free Theatre is still a band on the run. According to Roche Schulfer, The Goodman Theatre’s Executive Director, their visas were set to expire close to the end of the New York festival but so long as they could find more gigs to perform, they would not have to return to Belarus, where they would surely meet with more persecution. Their manager is currently in Washington D.C., consulting with the Secretary of State’s office about asylum. Meanwhile, they’ve booked more performances in Hong Kong and London after Chicago. 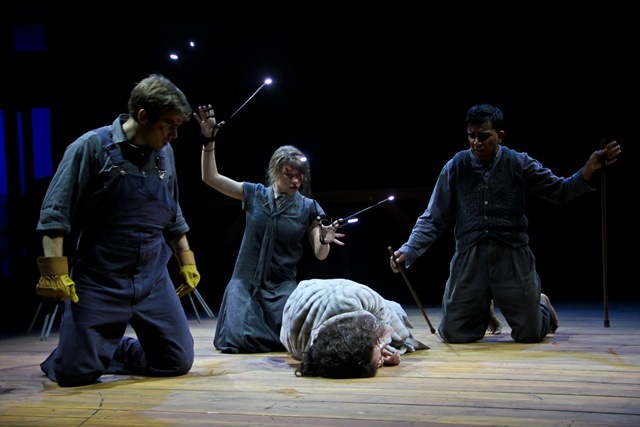 By the way, here’s another small Chicago connection: in 2005 the BFT produced a play by Sarah Kane, 4.48 Psychosis, which is currently enjoying a remount during Curious Theatre Branch’s 22nd Annual Rhinoceros Festival. Their production was banned in Belarus and they had to continue it underground. Some candies may melt in your mouth, but practically every song in this glorious 1945 gem of heartfelt Americana melts in your heart. Filled with what’s now post-war nostalgia for an even simpler America (a sea town in Maine in the late 19th century), Rodgers and Hammerstein’s lovely and loving masterwork is an inspired reworking of Ferenc Molnari’s Liliom, a knowing drama about an abusive husband who’s given one last—posthumous—chance to redeem himself to the wife he abused and the daughter he never knew but still might save. Maybe because it’s hard to believe in 2010 that a husband can “hit [his wife] so hard and still not have it hurt” (as Billy Bigelow supposedly does to the too trusting Julie Jordan), the seemingly tender plot of this beloved musical Carousel can also register an ugly shock of recognition. It’s nothing like the vicious menace that Jud Fry offers Laurie and Curly in the earlier hit Oklahoma! But this is even closer for discomfort–domestic violence nurtured by Billy’s need to strike out at anyone but at the real threat, the loser he feels he is. The question of whether carnival-barker Billy Bigelow will find posthumous redemption–by offering a star to the daughter he never knew–seems less important than the fact that soon after this unreformed bruiser returns to earth, the abuser slaps his daughter, as he did her mother 15 years before. If he helps his daughter Louise, it doesn’t happen on stage. And this, though Billy knows that his return to the living (like Jimmy Stewart’s in a film from the same year) is his one chance to make up for the cruelty and crimes that shortened his earthly sojourn–and escape the pangs of hell. Writing about the recent Broadway revival of Carousel, the late William A. Henry III dismissed the 1945 classic as a musical where nothing important happens when it should and in which a rotter’s reformation occurs after it’s too late to matter. But that’s the lure that drew Oscar Hammerstein to Ferenc Molnar’s Liliom: We need to believe that, unlike letters, love is never lost. Refusing to dispute her dependency ("What’s The Use of Wondr’rin’? 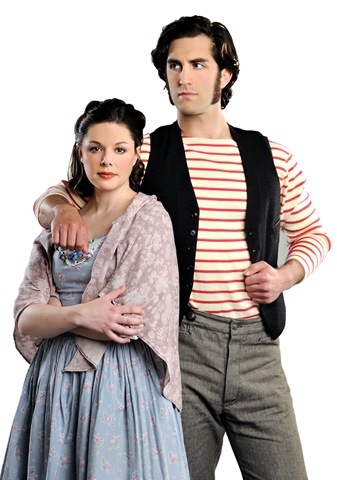 "), Julie Jordan, a lovestruck Victorian millgirl, clings to her seemingly worthless Billy. In real life, Julie’s dogged devotion to a thug would gain her a worse beating. But the musical’s make-believe, plus the powerful persuasion of a deathless anthem like "You’ll Never Walk Alone," improves on fact–at least until you think of Simpson. Sturdy and sometimes impassioned, Light Opera Works’ revival – very down to earth and up to heaven, unlike the famous and deliriously lyrical Lincoln Center revival of a decade ago – finds a strong moment at the start: The famous waltz accompanies the millgirls’ happy deliverance from work and riotous escape to the carnival, complete with the title amusement. That–and the passionate “dream” dance duo between Nicole Miller and Todd Rhodes–are superb bookends for a literally moving musical. The casting seems made to matter. Cooper David Grodin makes a lean and menacing Billy, with a body language as confident as his tenor and more so than his acting. (He’s trying so hard to be tough that we miss the tenderness that clearly draws Julie to this “bad boy.”) Innocent until ardent, Natalie Ford gives Julie the pole-axed passion that makes this unschooled woman endure so much for her premature prince. But since they don’t connect when it counts–in the wonderful 11-minute "bench scene" that blooms into "If I Loved You"–it’s hard to wish them a second chance. 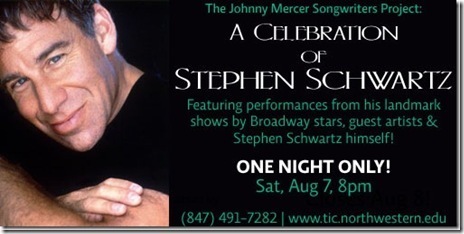 One Night Only at Pick-Staiger Concert Hall! 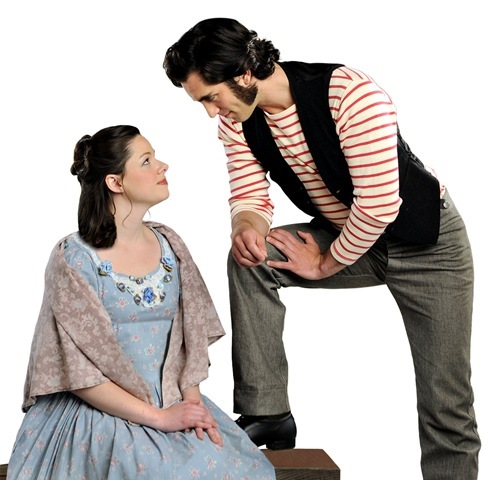 Last chance to see new musical "Not Wanted on the Voyage"
The production needs to invent a fantastical, timeless world in which this modern story can take place,” says award-winning director, Amanda Dehnert. 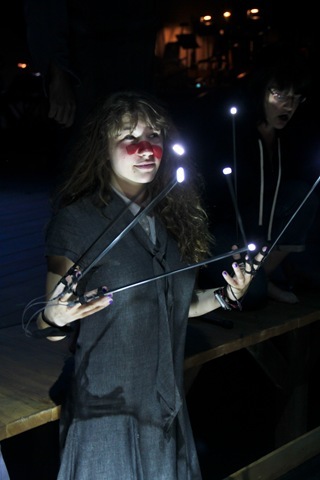 “Illusion and spectacle create moments of surprise and connection for the audience, and they allow us to realize the more epic moments of the family’s voyage in thrilling, visually innovative ways. Illusion consultants Jim Steinmeyer and Jeff Grow advised on the design of magic elements performed by actor Andrew Howard who plays family patriarch and self-proclaimed amateur magician, Dr. Noyes. Steinmeyer, the acclaimed illusion designer who developed the concept behind David Copperfield’s landmark illusion in which he made the Statue of Liberty disappear, has long-advised Dehnert on the use of magic in her theatrical productions. New York-based magician Jeff Grow, traveled to Chicago to teach Howard how to perform an elaborate magic act within the show. 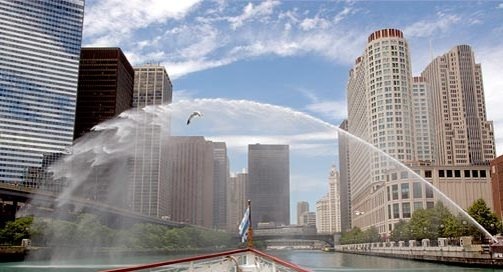 Working with Jeff was thrilling,” says Howard, a recently graduated senior at Northwestern. “The technical skill that goes into even the simplest tricks was surprising, exciting and incredibly challenging. But now I can produce a light bulb out of thin air, and you can bet I’ll be using that at parties. The illusion design elements combine with a revolving platform stage amidst projections, soaring vocals, and stunning backdrops. 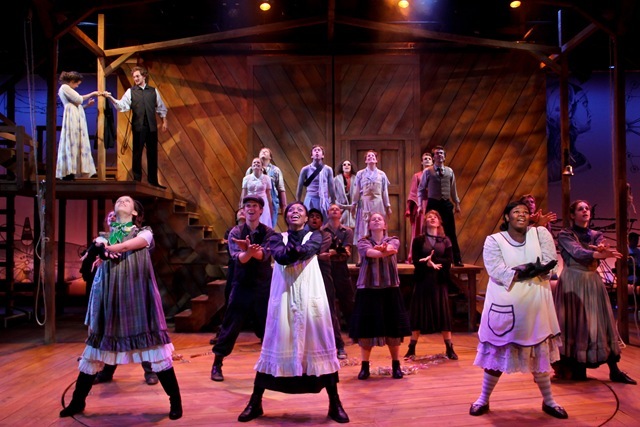 The production makes use of onstage rain and fire, and Eugene Lee’s barn wood set sits in a moat of water. 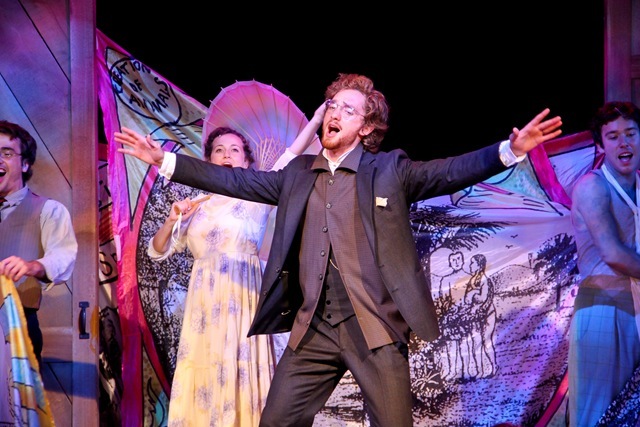 One of the few professional Chicago companies to put on the works of Gilbert and Sullivan, Light Opera Works typically mounts one of their operettas each year, with just eight performances. 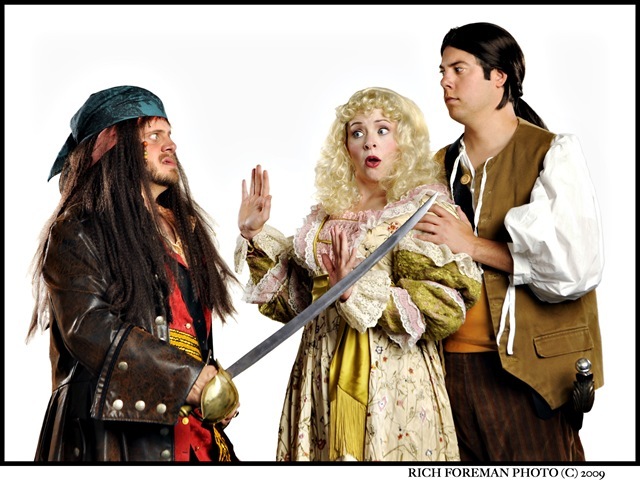 This year, it’s a solid version of The Pirates of Penzance, one of the duo’s most popular comic operas, full of witty lines and catchy music. To know W.S. Gilbert and Arthur Sullivan is to love them. Funny and musically brilliant, every one of their collaborations is a delight. It’s hard to imagine anyone coming away from a well-done production of almost any of Gilbert and Sullivan’s operettas without wanting to see more. Maybe it’s the "opera" in "comic opera" that scares people off. Maybe it’s the technical difficulty and expense of producing shows that require skilled orchestras and large, talented choruses. 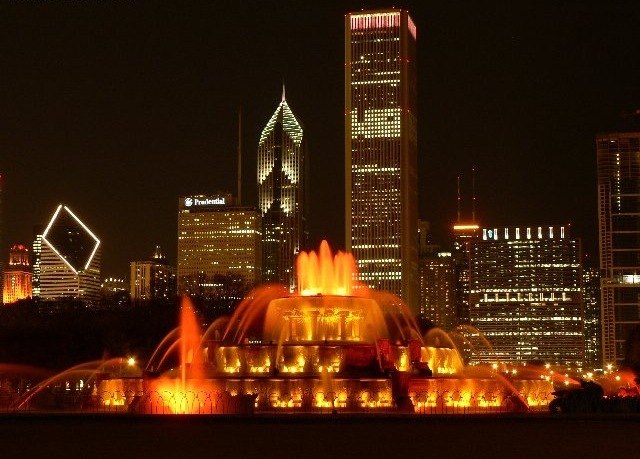 Whatever it is, it’s rare that Chicagoans get to see these classics done with the splendor they deserve. Light Opera Works does a satisfying but not thrilling job of "Pirates," one of the funniest and most timeless of the G&S canon. Its characteristically silly plot revolves around Frederic, an apprentice pirate. Meant to be articled to a ship’s pilot, he was instead mistakenly indentured to a pirate by his hard-of-hearing nursery maid. The dutiful young man has served diligently in the rather soft-hearted pirate band, but now his term of service is up, and he means to dedicate himself to wiping out his former comrades. 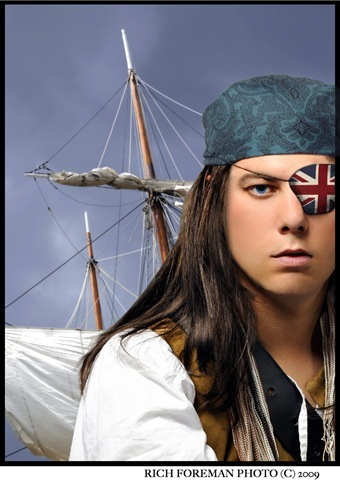 He becomes more determined after he meets Major-General Stanley’s bevy of beautiful daughters, whom the lovelorn pirate crew tries to kidnap, and falls in love with the intrepid Mabel. But then, the pirate king points out a technicality that means Frederic’s contract to the pirates is still in force. Delightful songs and comic shenanigans ensue. 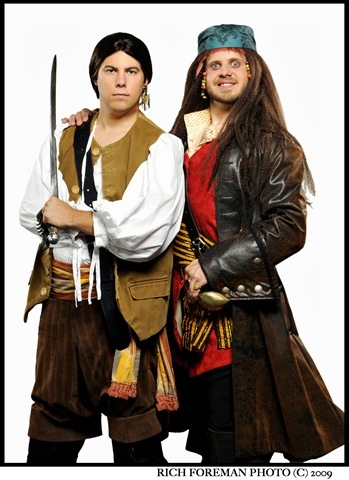 A highlight of the production, bass-baritone Michael Cavalieri looks too amiable to be a Pirate King, but he gives us a glorious "Oh, better far to live and die." Musical theater veteran James Harms is the very model of a Major-General Stanley, effortlessly delivering the centerpiece patter song in fine comic style. As in many productions, this crowd-pleaser gets a speeded-up reprise, although this one rather insults audiences. It’s usual to hint the meaning of the couplet, "In short, when I’ve a smattering of elemental strategy — / You’ll say a better Major-General has never sat a gee," by having the singers mime riding horseback on the final rhyme, but when Harms repeats the line, he sings, "never sat a horse" — as if we were too dumb to get it the first time. Other than that, Director Rudy Hogenmiller steers mercifully clear of modernizing, while aiming at very broad comedy. The police force, for instance, comes straight out of the Keystone Kops. Bass Frank M. DeVincentis, both vocally and comically perfect as the Sergeant of Police, does a bang-up job with "When a felon’s not engaged in his employment." 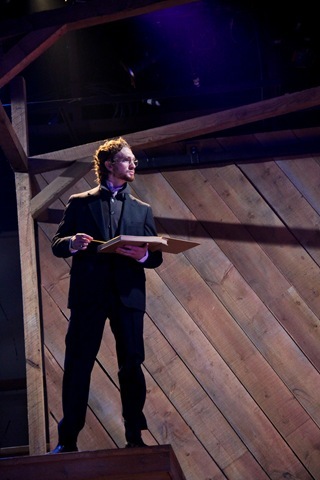 Tenor Matthew Giebel brings an excellent voice to Frederic. As Mabel, Alicia Berneche trills her way through "Poor wandering one!" 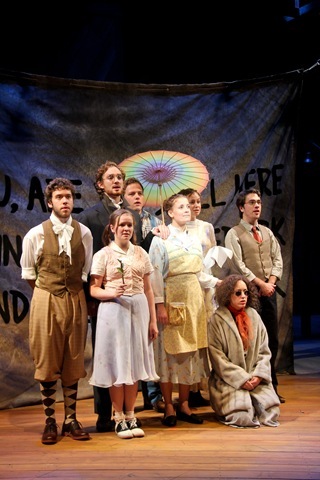 and "Stay, Frederic, stay!" at high coloratura pitch. All of the women sound a bit shrill, even the dashing Barbara Landis in the contralto role of Ruth, Frederic’s nurse turned piratical maid of all work. Conductor Roger L. Bingaman’s largely workmanlike musical direction stumbles here and there. The orchestra doesn’t excite, and harmonizing, in songs like "When you had left our pirate fold," sung by Landis, Giebel and Cavalieri, isn’t all that it could be. The choristers do fine work, though, with particularly clear enunciation in numbers like "How beautifully blue the sky." Hogenmiller’s dance sequences sometimes seem cluttered, but that only adds to the fun. 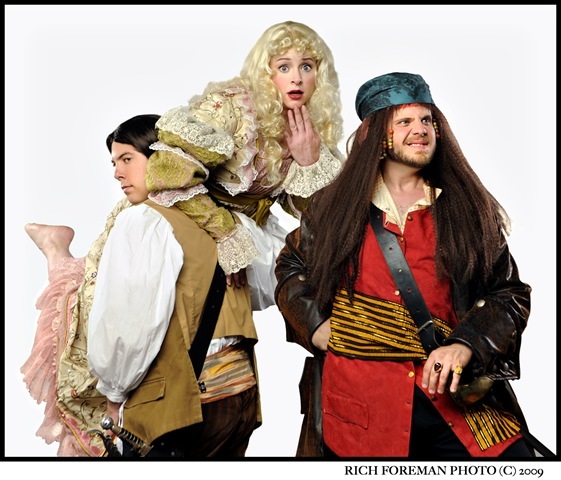 Jill Van Brussel‘s costumes shine, particularly the colorful pirates’ garb. Tom Burch‘s cut-out sets neither add much nor detract. Overall, the flaws of this production are far outweighed by its successes, together with the sheer brilliance of the original score and script. If it’s not the glittering production that Gilbert and Sullivan fans yearn for, it’s still loads of fun and good enough to inspire G&S newcomers to want more. Are you listening, Chicago thespians?